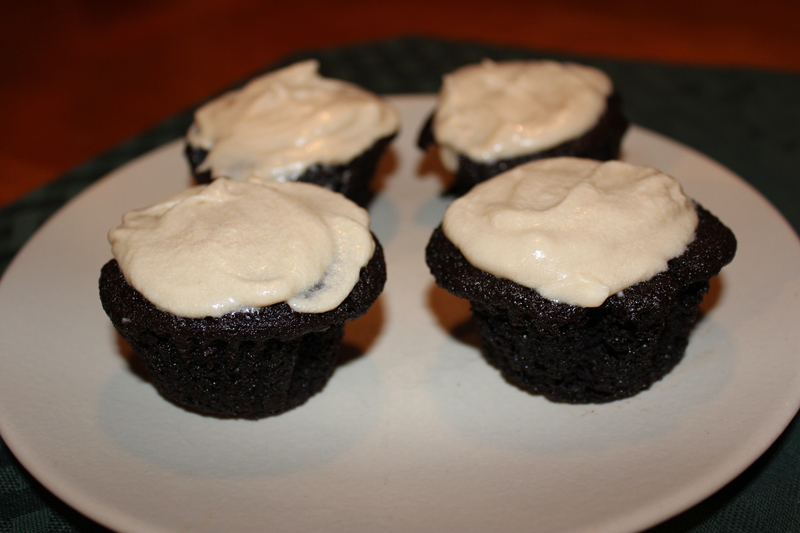 I’ve decided to add dessert to my Guinness recipe collection with these scrumptious and moist Guinness and Chocolate Cupcakes with Kahlúa Frosting. The Guinness does not overpower the cake at all, but rather infuses a soft undertone of rich, full stout flavor and helps make the cake taste a little less sweet. This recipe is based on Nigella Lawson’s Chocolate Guinness Cake recipe, except hers calls for a different icing than the Kahlúa frosting I offer here, plus I add chocolate pudding mix to the batter for even more flavor and moistness. 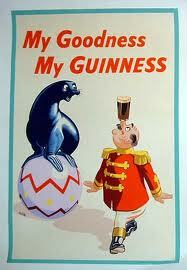 My goodness, my Guinness! This is seriously good stuff! What a heavenly combination – the beer and chocolate gods are smiling. 1 cup of Guinness Draught (no foam) – drink whatever is left in the can as not to be wasteful! Heat the Guinness and butter on low in a medium sauce pan. 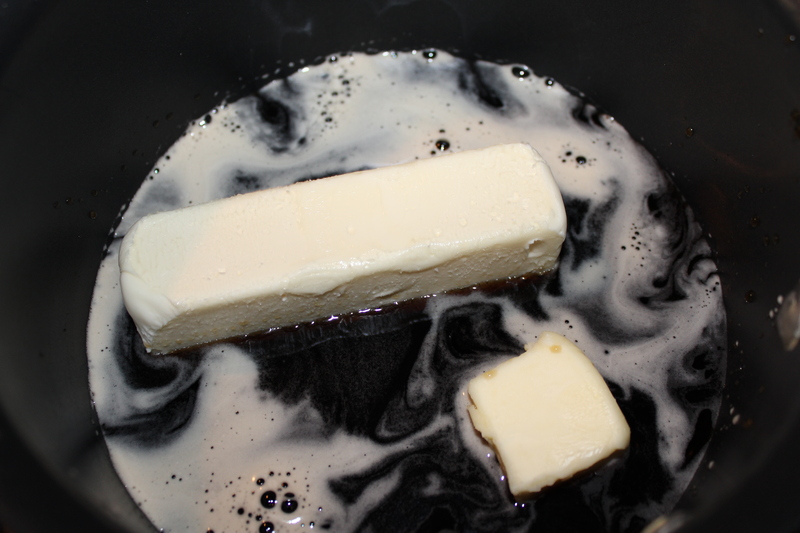 Transfer to a large mixing bowl as soon as the butter has melted. 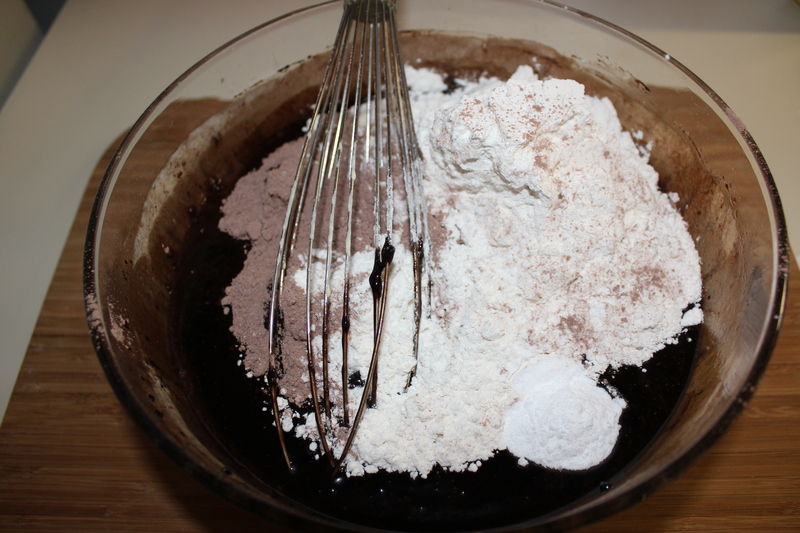 Add the sugars and the cocoa and whisk until blended. 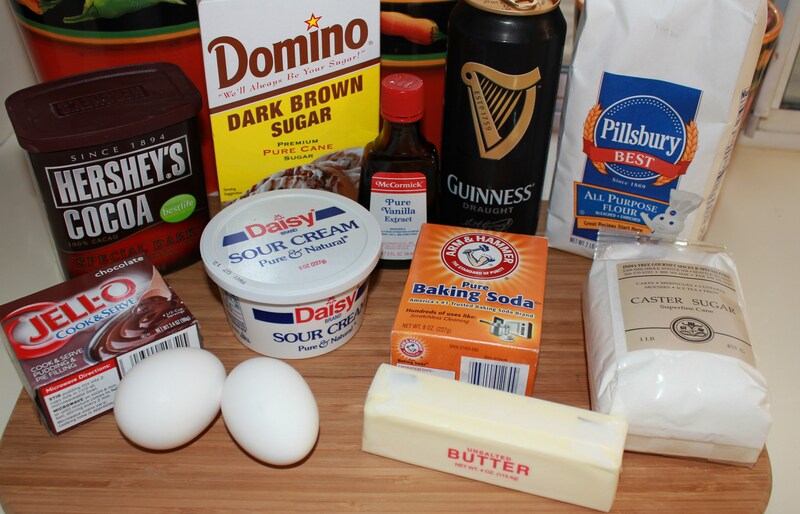 In a separate bowl, mix the sour cream, eggs and vanilla until nice and smooth, and add to the Guinness mixture. 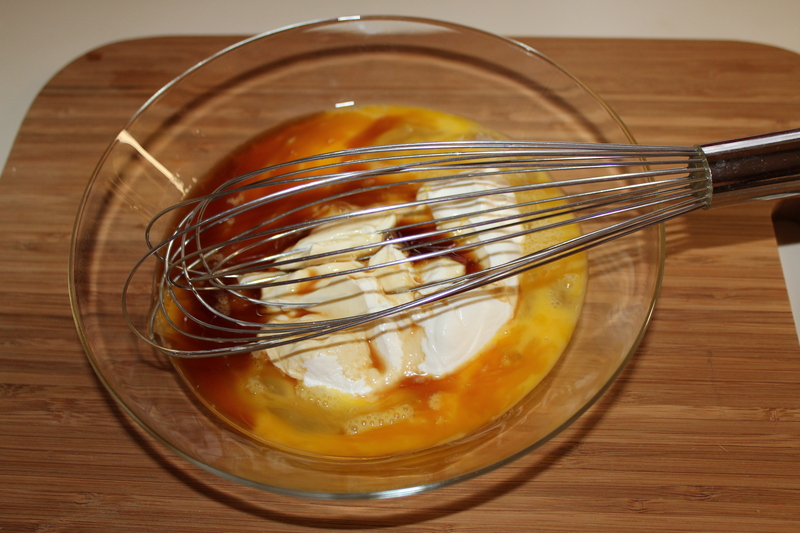 Add the flour, pudding mix and baking soda, and whisk until it’s well blended. Place lining papers in muffin tins. Fill each with the batter, almost to the top. 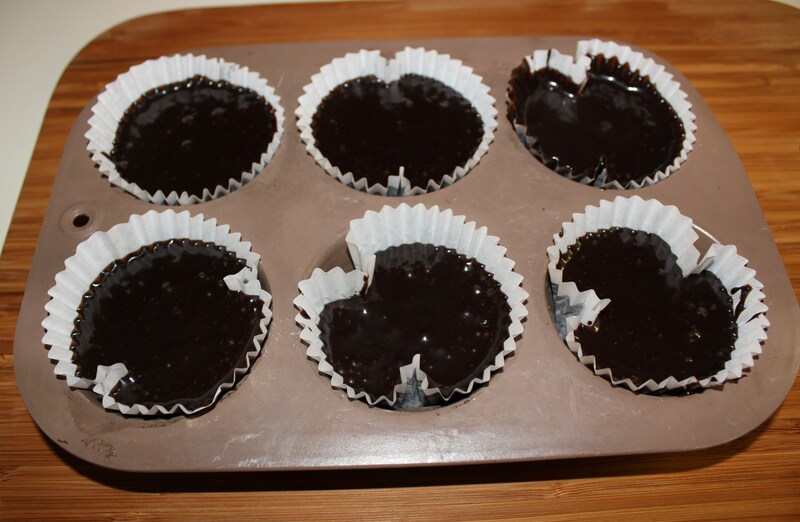 Bake for 20-25 minutes, until a toothpick comes out clean from one of the muffins. Cool completely. Kahlúa is a rum and coffee liqueur made of Arabica coffee beans and sugarcane (check out my post on Kahlúa-based drinks by clicking here.) 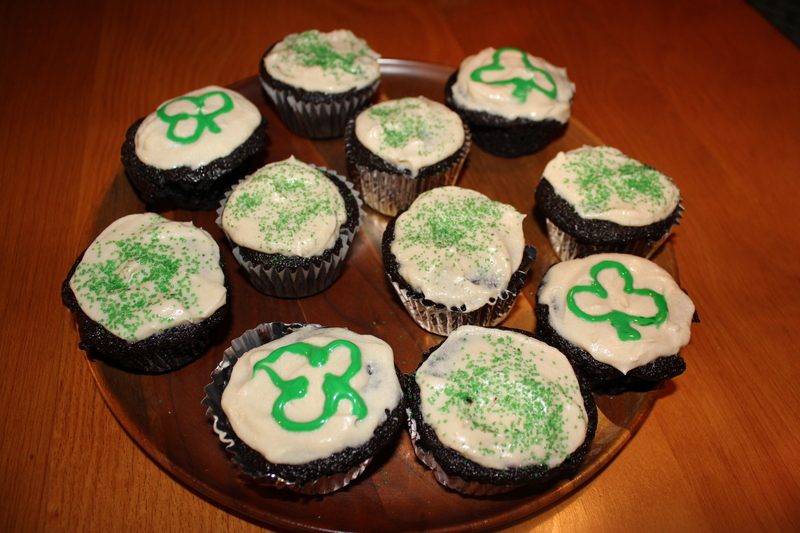 I thought this frosting would add another dimension to the Guinness-based cake, and I was right. So now you can have your cake and drink it too! 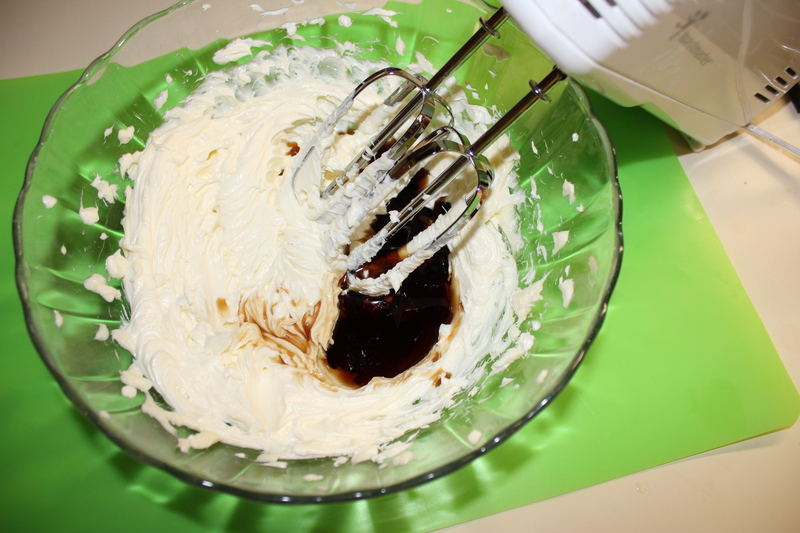 Blend together the cream cheese and butter with an electric mixer. Mix in the Kahlúa. 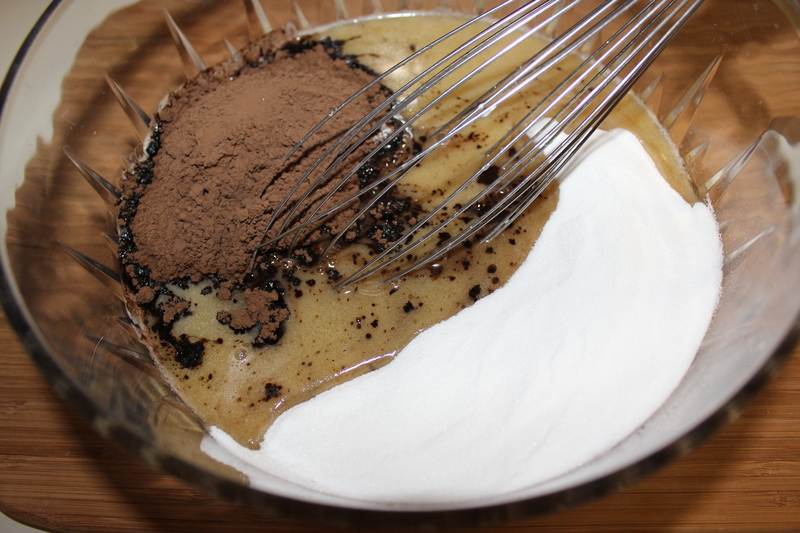 Add the confectioner’s sugar and beat until nice and smooth. 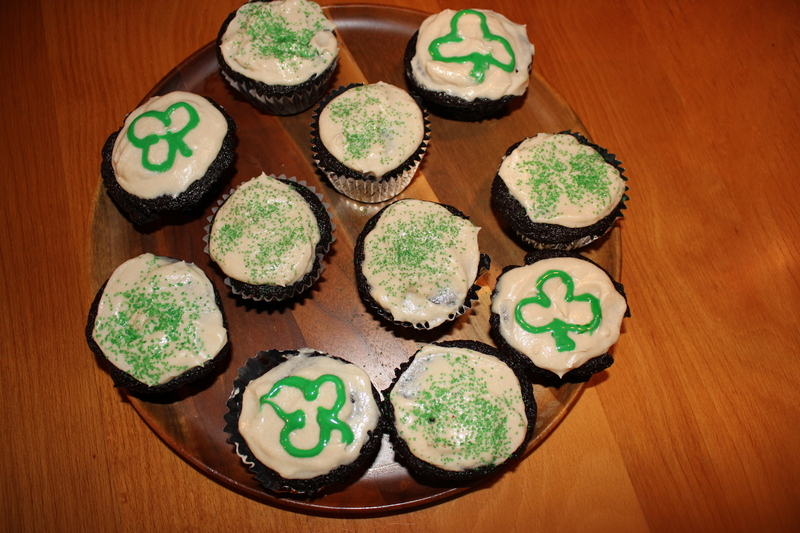 Spread a good amount of the frosting on the cupcakes – the idea is to make them look like little pints of Guinness. Or, if you’re making these for St. Patrick’s Day, add some green sprinkles, etc., so they look festive. **Note – I’m a much better cook than cupcake decorator, as you can tell! That’s OK, as long as they taste as great, I’m good. This entry was posted in Desserts, It's 5:00 Somewhere, Recipes and tagged Beer cupcakes, eat drink and be merry, Guinness chocolate cake recipe, Guinness chocolate cupcakes kahlua frosting, Guinness cupcakes recipe, Guinness recipes, Kahlua frosting recipe, Kahlua icing recipe, Kahlua recipes, kel's cafe of all things food, Kelley Chisholm blog, Kelley Chisholm recipes. Bookmark the permalink. I’m looking forward to trying these out, they look yummy! They are! 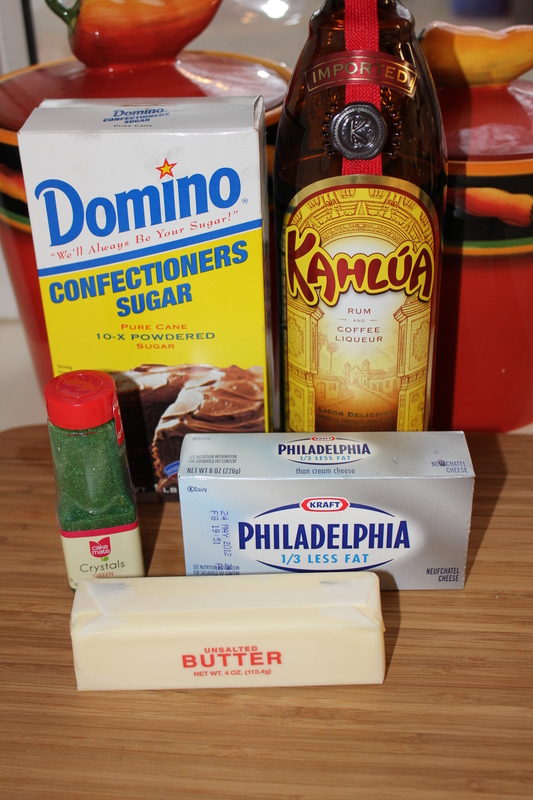 I think you’ll like the Kahlua frosting as well – it’s a good combination.